Dr. Engler, a native Houstonian, is a second-generation allergist. 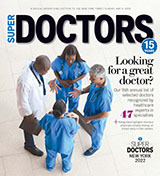 His innovative approach and dedication to his patients, staff and colleagues have earned him election to the Texas Super Doctors Hall of Fame for making the list 10 years. In addition to private practice, he is a clinical associate professor at Baylor College of Medicine where he volunteers teaching allergy/immunology post-doctoral fellows at Ben Taub General Hospital and Smith Clinic. He has twice been elected to the Board of Regents of the American College of Allergy, Asthma and Immunology. Married for 30 years, he has one daughter in medical school and another training to be a veterinarian. Allergy sprays and pills reduce symptoms, but none actually makes you less allergic. You stop the medicine, it soon stops working. Allergy shots are unique in that if taken at the right dose for at least 3 years, they can continue to provide beneficial immunologic effects after you stop taking them. Higher doses are associated with increased side effects, but most reactions are mild---itchy arms, local swelling. Taking antihistamines or applying ice to the site of the shot usually works. Rarely, high effective doses of allergy shots can cause serious reactions---wheezing, hives all over, even anaphylaxis. That's why we monitor each patient with a digital timer after each shot, and then send each patient out with their own EpiPen or Auvi-Q to use if they have a late reaction. Why else don't allergy shots work? It's important to split up some components into separate vials. For example, mold extract can digest grass extract. If you are allergic to several things, but your allergy serum is all in just one vial, it is possible that some of its contents are being degraded. There is enormous variability in how allergy shots are formulated, and how they are dosed. Many allergists continue to follow recommendations made 30 or 40 years ago. At The Allergy Clinic, we base our recipes on guidelines published in 2003 and updated in 2011. Maybe that is why we hear, "these shots have changed my life" more often than "these allergy shots don't work." 9/78-5/81 BA in Zoology, High Honors, University of Texas at Austin, Austin TX. 8/81-5/85 MD, Baylor College of Medicine, Houston, TX.